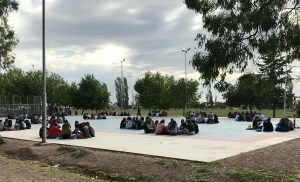 Anna-Lena, along with 800 other European and Latino students, recently attended one of the two large mission conferences in Latin America hosted by MOVIDA (Moviendo Vidas, translated as Moving Lives). The MOVIDA team used the CMM’s Xplore study as the daily devotional at the conference. 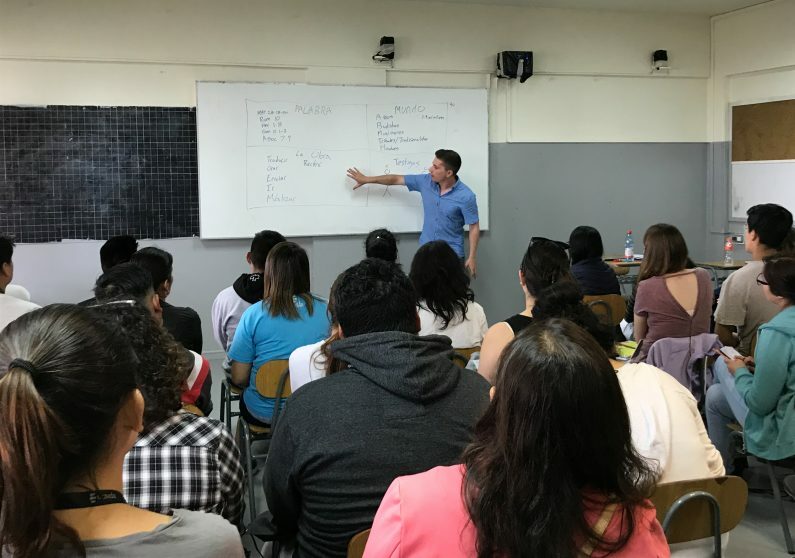 After being trained by our mobilization team in Peru on how to lead Xplore, the small group leaders at these two conferences led more than 80 groups through the study. 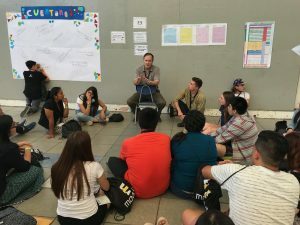 When you are seeking to mobilize the youth to the mission (especially when there are more than 100 international, interdenominational, and intergenerational groups), looking for written material that will not only teach and inform, but also touch and move their hearts can be a huge challenge. Finding a resource like Xplore was an answer to many prayers with so many collateral blessings. As a full-time missionary working for MOVIDA in Peru, I realized we would not only have Peruvian young Christians attending our conference. We were hosting a bi-national event together with Chile, and would also have a group of European youth in attendance who were craving the passion they see on this side of the globe. We had hoped all these participants would not only be mobilized to the global mission, but also to become mobilizers themselves. In this way, we would be sending back to their Latin American countries dozens of young Christians committed to share the message in every sphere in which they have influence. But we would also be sending new mobilizers to Europe, where the church truly needs to be awakened and moved. Thus, it became apparent we needed a resource that could mobilize young people to the mission, and help them to become mobilizers themselves. Xplore is definitely the kind of book we were looking for. At the conference in Chile, around 200 participants, volunteers and full-time staff read and studied the material. Many told us that they had gained a new perspective on God’s purpose for His people and the many ways they can become involved in it, and this was helping them to make choices and take steps toward their new goal: becoming real, true, World Christians, fully aware of their role in the mission of God. The other event was our short-term trip, where at least a dozen of our young German Christians went through the study. The result we appreciate most is that these German believers, many of whom have no Christian friends or families, will go back to their hometowns, not only as World Christians with a heart for God’s mission, but also as new mobilizers. When you consider countries like Germany are only 2.1 percent evangelical Christians and the expected annual growth of the evangelical church is less than 1 percent, you realize how crucial it is to send not just believers, but mobilizers back to the Old Continent. We become aware of how vital it is for us, as Christians in the American continent, to become fully involved in God’s mission toward places like Europe in all the ways this young German Christian discovered through Xplore. Missionaries are not born overnight. When Christians are exposed to God’s heart and purpose in the Great Commission like Anna-Lena was, it presents a choice—a choice to move toward embracing God’s heart and mission as our own. It’s through choices like these that missionaries are formed and mission movements are ignited.